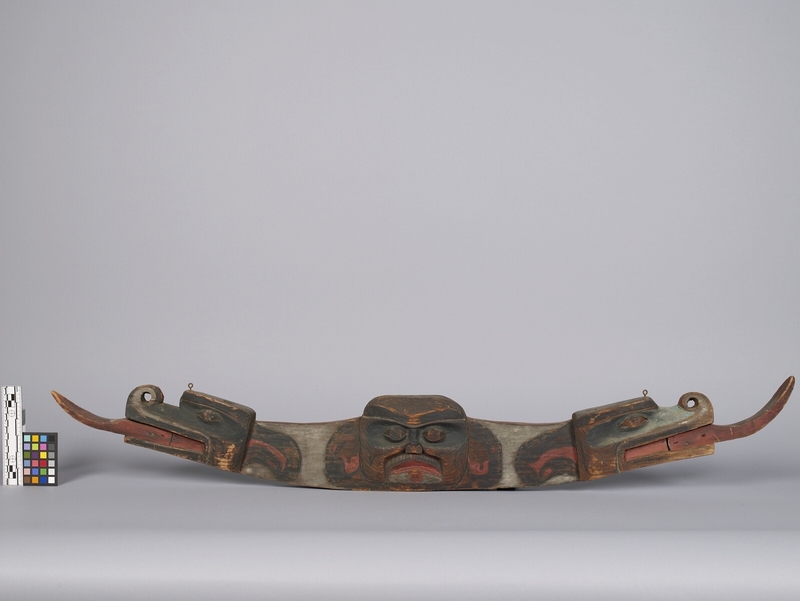 Item number A2511 from the MOA: University of British Columbia. Sisiutl figure. 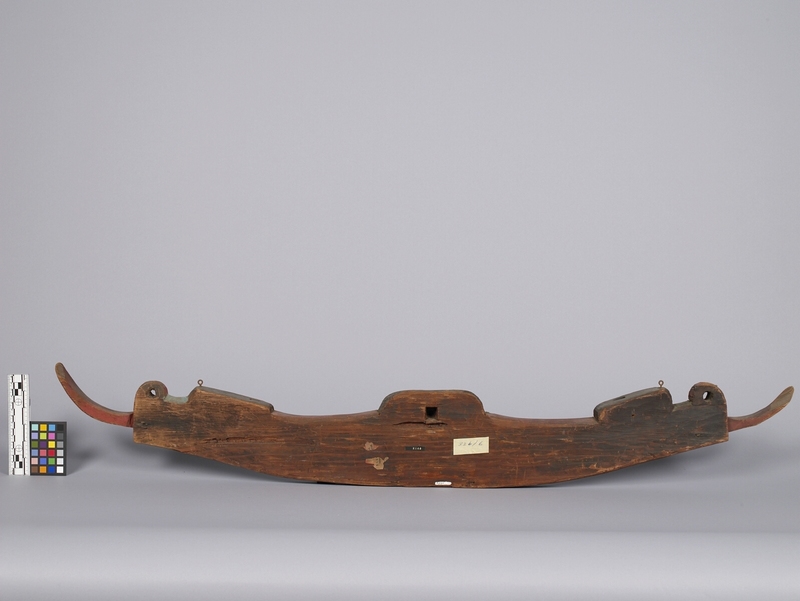 A flat downward curved wood piece with a central frontal head and a profile head on either side. The two side profile heads have long upward curving protruding tongues. Painted red, black, and green. There is a metal hook on top of both side heads. Carried as a wand or suspended from the ceiling during the War Dance. Sisiutl was a double-headed serpent or lightning snake who was an assistant to Winalagalis, the War Spirit.